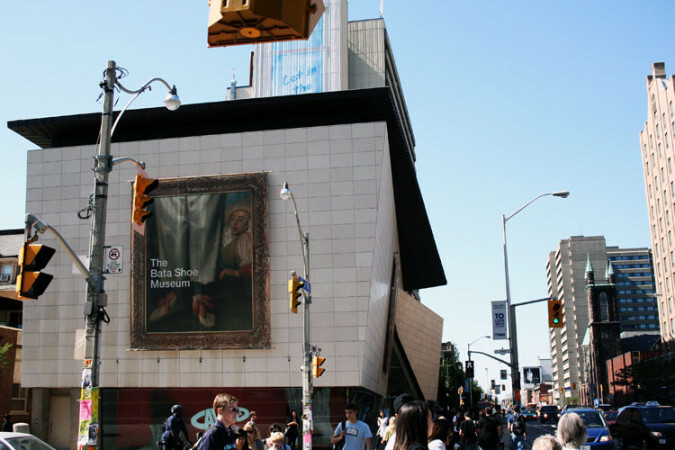 This year the Bata Shoe Museum, the only museum of its kind in North America, marks its 20th anniversary. The Toronto staple has grown from a local oddity to an internationally recognized institution drawing nearly 100,000 visitors a year. 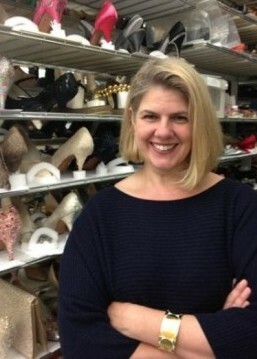 Credit for BSM’s success is due in large part to senior curator Elizabeth Semmelhack, who was recently named one of the world’s top five fashion curators by Fashion magazine. In her 15 years at BSM, Semmelhack has put together a number of noteworthy exhibitions, spearheading shows about the rise of sneaker culture and charting the ancient Persian roots of men in high heels. In a recent essay for the New York Times, she wrote about women being turned away for wearing flats at this year’s Cannes Film Festival. One afternoon this spring, I met Semmelhack on the third floor of BSM. Her office overlooks Bloor Street, one of Toronto’s most ostentatious thoroughfares. She wore black flats adorned with a simple bow. She spoke of shoes with affection and generosity, and a clarity that comes from intimate knowledge of the trade. I had worked previously for the St. Louis Art Museum, and I had studied both Western and Asian Art History. The collection was very broad. I knew I could draw upon both ends of my education. But shoes were also the Wild West of scholarship. And so I knew that there were many questions to ask. There are very few people who have been devoted to researching the history of footwear. So I saw an opportunity. Have you always had a passion for shoes? No, I have a passion for history. I’m interested in learning why people make what they make, in learning what gets embraced by a large segment of the population. I’ve never been interested in the unique object made by the unique individual to be purchased by the unique consumer. I’m interested in things that are meant to be consumed at the moment of their creation by a large number of individuals. You mention the Wild West of scholarship. Is that what drives you, to be on the frontier of research? Very much so. What I think is most interesting is what we don’t see. When I was hired here, we were working on a Chinese foot binding exhibition. I gave talks and people asked question after question after question: Why were Chinese shoes so small? How did it happen? What did it feel like? Why did it last for a thousand years? And half the people asking these questions would teeter away in high heels. It got me thinking: why don’t we pay attention to the high heel? Why don’t we see how irrational that addition to the back of the shoe is and why today only half of us get to wear them? So I decided to unravel that history. What do you want the public perception of BSM to be? Is this an eccentric, quirky spectacle or a serious cultural institution? I think it’s very serious. Absolutely, people may perceive it as quirky. But I think when you come and actually look at the exhibitions, you can see that there’s actually nothing quirky about asking questions about something that we all wear. It’s not like one day you would just wake up and slip on your wife’s shoes accidentally. You wouldn’t just happen to walk into the women’s department and ask for a shoe in your size. You have a very specific set of requirements for the shoes you choose to wear. Within those spaces, there is a huge amount of cultural information. I want people to begin to understand that fashion isn’t frivolous. Every single thing that we put on our bodies is worthy of in-depth investigation. What would you say makes any given shoe a work of art? I don’t know that art exists. I don’t know if that’s the right question. Art is another cultural production. So I think there are two things: art appreciation and art history. Art history tells us what has mattered to a large segment of the population at various time periods. My feelings about the aesthetics of one shoe over another is extremely personal. I would argue that the shoe with the seemingly greatest lack of utility may have the greatest social utility. So its utility may not be about mobility. It may be about social mobility or lack thereof. If you were going to walk out of the museum with a pair of shoes on, what would you wear? Well, wouldn’t be wearing them, but I would definitely take our chopines, which are a form of platform footwear worn during the Renaissance. They are exceptionally rare, fascinating, and so important to women’s dress, particularly in Italy during the Renaissance. They were really high, stilt-like, but because they were worn under women’s skirts, you can’t see them in any paintings. Without understanding that chopines exist even, you begin to make up stories why an artist like van Dyck would elongate the figure so much. Chopines were essential to the construction of idealized femininity and status. What do shoes tell us about a culture or society? Can we ask that question? I think so, yes. I have an exhibition that’s opening at the Brooklyn Museum this summer on sneaker culture. Sneakers are a very good and illustrative example of how masculinity is shifting. It’s everything from the tech world super wonder-boy who dresses like a kid on the playground in his Chucks and his striped t-shirt, who is uber-successful and yet not dressing in the uniform of male authority, the three-piece suit and business brogue. Sneaker culture, which is coming out of urban fashion, is allowing men to wear very decorative and flamboyant footwear as a means of expressing nuanced aspects of individuality. I would expect an art historian to bemoan sneakers. Don’t they represent the blight of industrialization and a flattening of culture? What I find particularly interesting about this shift is that it is inculcating men into the fashion system. Women are obligated to wear not the same thing when they go out. God forbid you show up at work or at a party wearing the same outfit. Whereas men are almost always expected to dress similarly. Sneaker culture is now telling men, or asking men, to make sure they don’t have the same sneakers on. What that’s doing, it’s both allowing for increased expression of individuality and obligation to consume. So we’re at a seismic shift in men’s participation in fashion. And sneaker culture is leading the way. 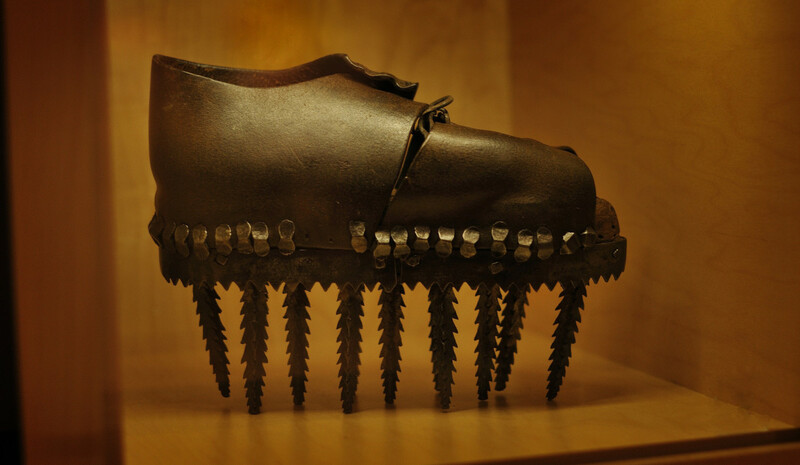 Walking through the museum, some people may be surprised by the role that shoes have played in religious history. Why do religion and shoes go together? Feet, in general, are interpreted in multiple ways in many parts of the world. They are the part of the body that is in connection with the earth. So automatically that can be interpreted as sacred. It also could be debasing. It could be that you want elevation from the earth or connection to it. And so, metaphorically, you can see how cultures could spin that in different ways. Then you add to it something like Hindu concern for not harming anything, and with any step you take you could kill sentient life. So you stilt your shoes. Or because you pray five times a day, you want to show that no matter how beautiful or expensive your footwear, you still care less about your shoes than your obligation to pray, so you press down the back. We also have metaphors of stepping forward into a new life, so you wear special shoes at your wedding. Or you have a new child, and you want their first steps to be positive, so you give them special baby shoes. With all of these ideas about mobility, transformation, connection to where you live and where you’re going, it makes great sense to me that shoes would be wrapped up in these metaphors. What does it say about human nature that we don’t want our feet to get wet, but we want our feet to look good? I think the history of footwear clearly says that comfort is the least of our concerns in relation to footwear. Footwear has a very dirty job to do. But when you look at the history of footwear around the world, the shape is often uncomfortable and the materials are often precious and unworthy of being soiled. I think what that says is that even from the ground up, we are more concerned with the social meaning of what we put on our body than creature comforts. Is there a shoe that you want for the museum collection? I want more chopines. I have never seen them for sale anywhere since I’ve been hired. They are exceptionally rare, surprising given that they were worn for so long in Spain and Italy. Actually, what would be the most fantastic is an ancient Greek pair of elevating platform shoes. That would be amazing. The BSM’s exhibition “Out of the Box: The Rise of Sneaker Culture” will visit four US venues beginning July 2015: The Brooklyn Museum, Toledo Museum, High Museum (Atlanta), and Speed Museum (Louisville).